We love a good knees up at Christmas and are already planning ahead for 2019. The warehouse looks stunning at Christmas, with fairy lights, red drapes, candles, beat up canteen tables and more holly than you can shake a stick at! 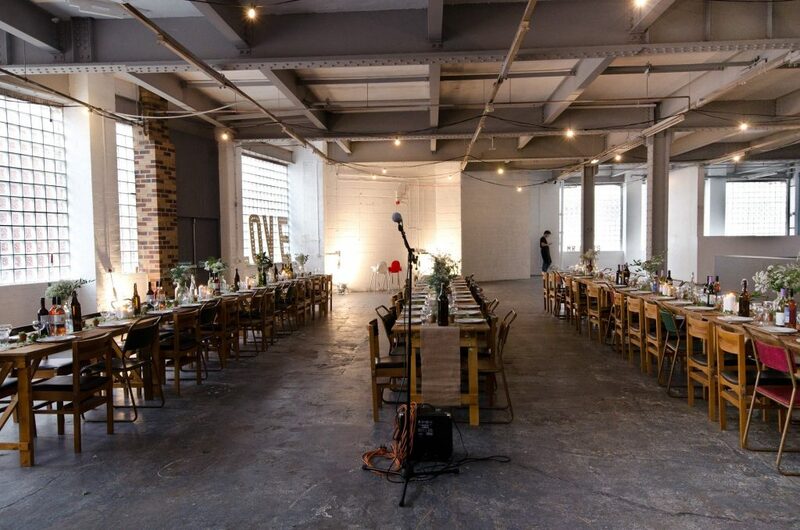 The warehouse is available for company bookings. Tell us what you want and let our organisers arrange the evening for you. From streetfood, DJ, tables, decorations, we have it all. Its a huge space, suited to 100+ people, your office bash will be one to remember. Alternatively, book onto one of our Christmas Gourmet Dinner Parties. Dates will be announced later in the year. For groups of 4 or more, so get your friends together and book early. With a seating capacity of around 200 and licence that runs till 2am, its the perfect venue for your office Christmas Party. Call us for available dates. For parties of 4 or more, you can book onto one of our exclusive Gourmet Christmas dinner Evenings. Enjoy a feast of sharing, tearing platters, christmas drinks, live music and DJ to dance the night away, in a festive, candle lit warehouse. Not your ordinary Christmas dinner!